John Sutherland has had experience in program development and coaching of players of all levels of minor baseball to elite amateur and collegiate programs. John’s coaching began in his hometown of Cranbrook, BC in the summers between college baseball seasons. During five seasons of involvement with the Cranbrook Bandits American Legion (and affiliate Creston Outlawz), John assisted over a dozen players to reach collegiate baseball. An opportunity to coach as a graduate assistant at Lewis-Clark State College after John’s collegiate playing days ended, provided him with a glimpse into the successes behind one of the most successful college baseball programs and coaches ever. John gained experience and understanding in planning and running dynamic practice sessions and a philosophy based on game replication and intensity in practice to match or exceed that of game situations. John looks forward to bringing his ten plus years of elite coaching experience, program development and organizational structure to the Edmonton Padres, to assist in the development of its players and coaches, as well as in the overall growth of baseball in our region. John will be leading the Winter Workout Camp and continue duties in mentoring Padres coaches throughout the season by way of planning, feedback and hands-on (practice) involvement. Good Luck in your new role John! 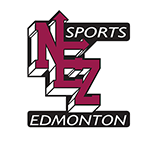 Edmonton Padres Baseball is pleased to have you working with our players, coaches and programs!